If you’ve got a small tank and you’re looking for a great canister filter then keep reading. The Fluval 106 Canister Filter review you’re about to read is going to give you all the knowledge you need to make an informed decision for buying a new canister filter! If you’ve never had a canister filter before, it can be hard to know what to look for. Or if you have one and you’re looking to replace it, then you’re going to want to know what makes this one so special! So here’s why it’s so great. 3 What’s The Maximum Size Tank For This Filter? The Fluval 106 has a lot of great features and a lot of specifications that you should be aware of. Before we get into the review, here are the main ones. (If you don’t know a lot about canister filters don’t worry, you’ll find out exactly why these features are so great later on. Thanks to the shape of this filter it has a larger capacity over its counterparts. It’s able to hold 35-50% more water than round canister filters that are the same size. Not only does this mean there will be more water flow. But it also means a larger amount of water is going to be in constant contact with the filter, making it cleaner. In fact, this is one of the reasons you should consider choosing this filter over similar sized round filters. What’s The Maximum Size Tank For This Filter? Ideally, you want to put this filter on a tank that is 25 gallons or smaller. However, depending on how dirty your fish are it should be fine on anything up to 30 gallons. Ideally, you want a filter that turns over the water at least 4 times an hour. The Fluval 106 turns over 145 gallons of water an hour which is over four times the amount. This is one of the reasons you may be able to put this on a slightly bigger tank. However, this isn’t advised if you’re housing particularly dirty fish as the mechanical and biological media may not be able to keep up with the bioload. If you plan on adding this canister to a betta tank (or any fish that like a slow flow) then the adjustable flow rate makes this possible. There’s a lever next to the input and output tube which allows you to choose how powerful the water flow in and out of the filter is going to be. 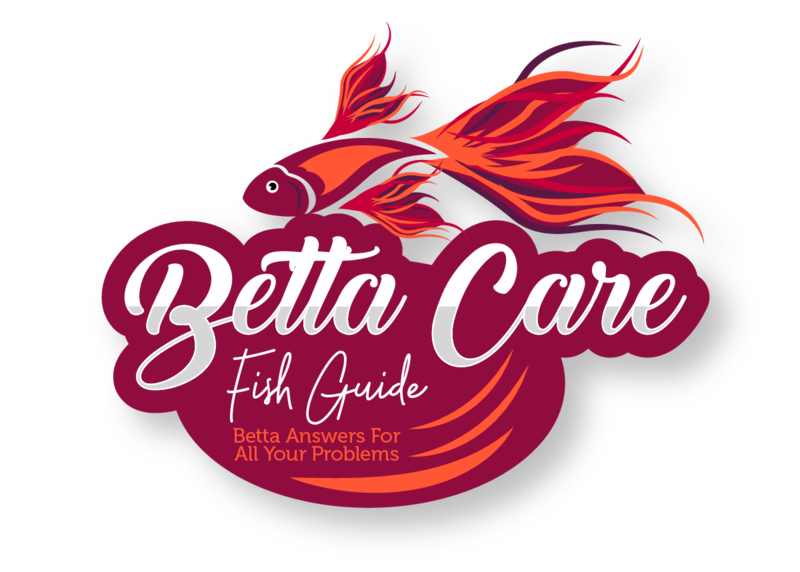 As you know, bettas don’t like a strong flow, so being able to change it to something a bit more peaceful is going to make sure your betta and any other fish remain stress-free. (Believe it or not, bettas can become stressed). Another great feature is the instant priming. Instead of having to fill the Fluval 106 manually (which can often cause a mess if you’re careless) you can just press the self-prime button and it gets done automatically. Of course, this doesn’t make or break a filter because you rarely have to prime it (only for water changes, etc.) but it does save you time and hassle. And if that’s not one of the reasons you’re buying a filter then what is? Remember, when you first start the Fluval 106 you can expect to see some bubbles coming out of the end. However, it should only be a few bubbles, not constant. If you do notice bubbles keep coming out, then try tipping it to remove any bubbles stuck inside. And, you should never let air get into the impeller. If you don’t fill the canister with enough water beforehand you’re going to cause the filter to burn out and break. This is the same with all canister filters. And if you’re wondering where the mechanical filtration is you’ll be pleased to know it is there, however the sponge doesn’t go into the media baskets. 3 Stage filtration is the minimum amount of filtration you can have in your tank to keep it safe. However, as you get a bigger tank, you’ll be able to buy a bigger canister filter with more stages of filtration! If you’re keeping your tank in your room, a quiet filter is something you’re going to be looking for. I’ve had a filter that emits a low buzzing all of the time, and while it’s not a big deal in the day, it becomes very aggravating when you’re trying to sleep. The Fluval 106 has actually been designed with noise reduction in mind. In fact, it comes with a noise dampening impeller which helps to reduce the sound that your filter makes by up to 15%. But how quiet is it? It’s extremely quiet. If you want to keep the Fluval 106 in your room then you’re not going to need to worry about it making noise. Of course, it’s not silent, but it’s definitely not something that will keep you up at night. The intake strainer and double layer mesh screen help reduce large pieces of debris entering your filter and blocking it up. This is great because your water is still getting filtered, however, the canister filter isn’t going to be slowed by large pieces of debris. This means that you can go a little bit longer without cleaning the filter. However when you do clean it make sure you’re paying attention to the intake to make sure you’ve removed all of the debris from it, so it can function properly. Because of the quick lift clamps, easy priming, and the way the filter is laid out, cleaning and maintaining the Fluval 106 is incredibly easy. All you have to do is remove the housing by closing the adjustable flow, removing a small part of the lid and emptying the canister, and then removing the final part of the lid so you can take out the media baskets. Once you’ve done this just swish all the media around in the old tank water to remove any large debris and add it back in. Every once in while you should also clean the impeller. But once again, everything can be removed with ease, and it’s made to be as simple as possible for you. Where Should I Put The Fluval 106? For best results, you should place the Fluval 106 below your tank. This takes some of the pressure of your pump as the water will flow into the tank naturally. You can place it next to the tank, however, doing so could reduce the life of the filter dramatically. Does It Come With Everything You Need To Get Started? This filter comes with everything you need to get started including filter media! With that being said, if you want to change the filter media you’ll need to buy it separately. What Is The Fluval 106 Hose Diameter? The diameter of the hose is 2.5mm x 14.5mm. The Fluval 106 comes with a 3 year warranty. If you want to find out more information about what the warranty covers then you should speak to the manufacturer. Lastly, of course, with anything, there are always improvements which can be made. While the Fluval 106 is a great filter there are some things which could make it even better. The biggest problem is the lack of carbon and filter media that initially comes with the filter. While there’s enough to get you started, carbon generally doesn’t last very long so you’re going to have to replace it fairly often. It would be nice if it came with a little bit more carbon originally. And secondly, you should make sure you’re reading the instructions carefully before installing this filter in your tank. A lot of people have reported that they’ve taken a longer amount of time than necessary setting this up because they didn’t read the instructions beforehand. If you don’t do this, not only is it going to take you longer to set up your tank, but it could also result in burning out the impeller. If you have a smaller tank (25 gallons or under) you’re going to be hard pressed to find a better filter on the market than the Fluval 106. Higher capacity than filters which are a similar size due to its shape. An adjustable flow rate which means you can use this filter for fish who prefer a more gentle flow and those that need a stronger flow. An instant primer which allows you to prime the filter easier, reducing the chance that you’re going to damage it. Noise reduction technology helps keep the filter quiet. In fact, it’s so quiet you’ll be able to keep in in your bedroom without a problem. And an intake strainer and mesh guard which reduce the amount of debris entering the filter. This means it’s going to clean the tank more efficiently as well as requiring less maintenance. If you have any more questions you can leave them in the comments below. Otherwise, have a great day!